Hi there! My name is Cristina Vintimilla, I'm a Pride Guide on campus during the school year and summer! During the summer, I don't have to worry about going to class, studying or attending club meetings so naturally I have more time. So, I guess that means I don't really have an excuse to not exercise, right? All Hofstra students have access to the Fitness Center year round at no additional fee! Yes, that means you no longer have an excuse for the "Freshman 15." The Fitness Center opens as early at 6am during the school year and stays open as late as 10:30pm. This ample amount of time allows every student to schedule gym workouts before or after class. What's my favorite part about our Fitness Center? Oh, well thanks for asking! Lately, I've been attending our free group training classes. 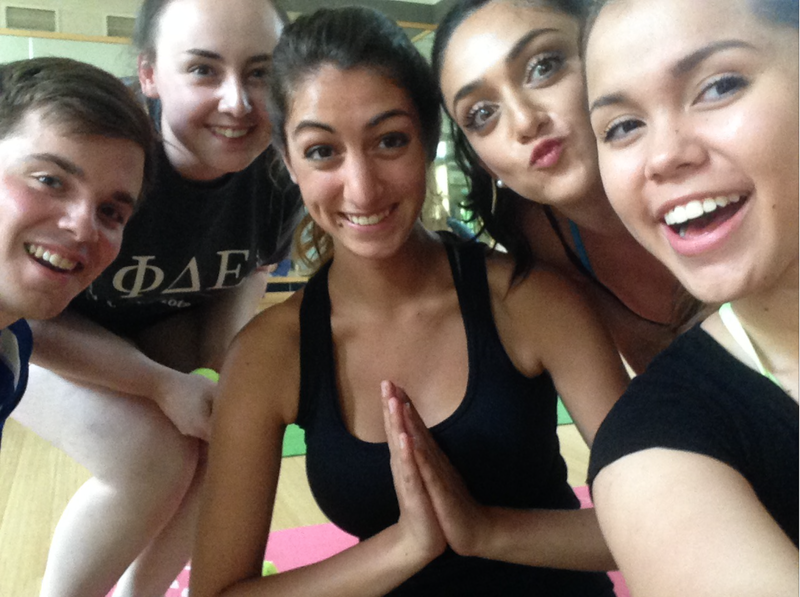 Hofstra offers Yoga, Zumba, Spinning, Boot Camp, Amazin' Abs, Pilates and Cardio Kick-Boxing. My personal favorite is Boot Camp with Dana, she pushes everyone to give 110%. And I haven't been the only one attending these classes. Other Pride Guides went to Yoga class together last week! Wait, there's more! We have 63 cardio pieces, over 50 Cybex strength training pieces, an indoor track and two full basketball courts. Personal training is also available to students on a first come, first served basis. Now, you don't have to worry about working out alone, you can have a buddy motivating you right by your side. Before 5pm, an outside guest is welcomed when accompanied by the student. 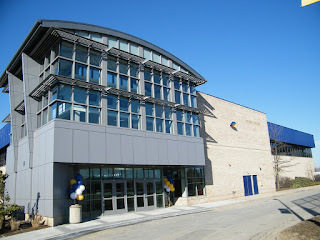 Click here to learn more about Hofstra's Fitness Center.